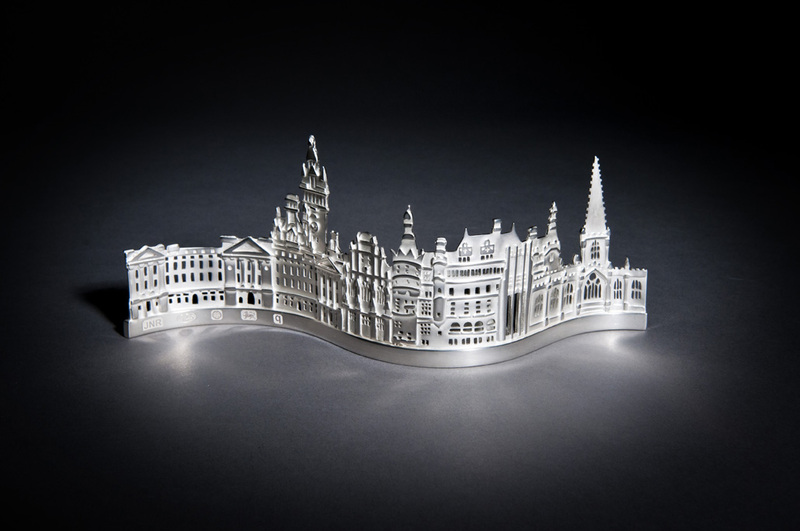 Jen was commissioned by the Sheffield Assay Office Master, Ashley Carson to create a hand pierced silver skyline, including Buckingham Palace, Sheffield Town Hall and Sheffield Cathedral. She drew her design out and used this as her template to hand pierce this piece from silver. 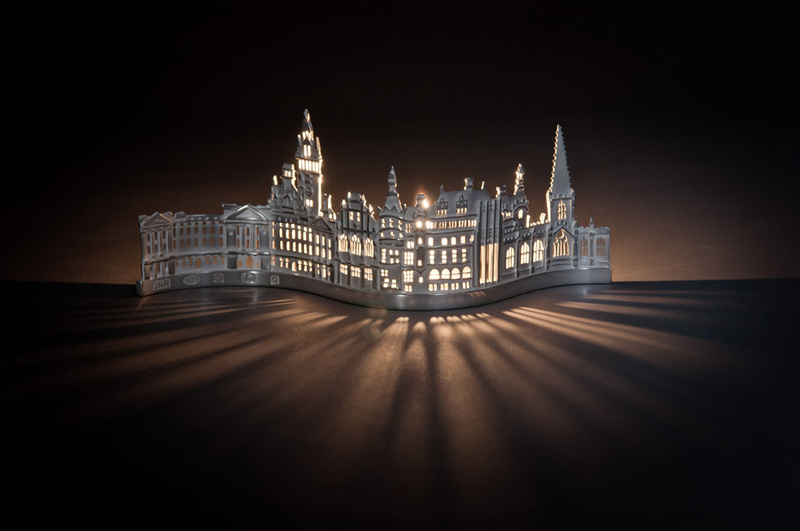 The piece was on show in the Town hall on Maundy Thursday and presented to the her Majesty the Queen by the Lord Mayor of Sheffield as a gift on her visit to Sheffield.